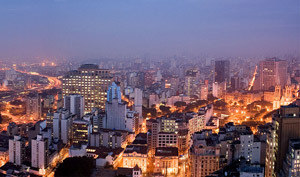 The city of São Paulo was defrauded of more than US$240 million between 2007 and 2012 after a group of permit officials entered into a dodgy scheme with real estate developers. On 13 November, after eight years, the Brazilian Supreme Court ordered the arrest of senior politicians convicted in the one of Brazil’s biggest corruption scandals, known as the Mensalão. Although this will not end the process – the defendants will have a new trial in 2014 – it is a step forward in changing the message in Brazil that those in power will not be held accountable. My organisation, Amarribo will also sign a letter this week with other NGOs supporting the investigation into another shocking corruption case that has rocked São Paulo. In this case it was the luxury lifestyle that eventually gave them away. A quartet of mid-level officials in the permit office of São Paulo city hall, who were supposed to be making ends meet on civil servant pay, suddenly acquired the trappings of wealth. One bought a luxury condominium near a golf course; another acquired three apartments in a month. There was also modern art, a Porsche, a BMW and a Ducati motorcycle. The money came from bribes paid by real estate developers who wanted to reduce their tax bills to just 10 per cent of the actual amount. In this way, the four ringleaders managed to defraud the city of São Paulo of more than US$240 million between 2007 and 2012. This money could have gone towards improving the overstretched public services that are failing to respond to the needs of a city of more than 11.3 million people. This kind of organised corruption, perpetrated by just a handful of public officials, has been an endemic problem in Brazil for decades, but the exposure of schemes like this are beginning to point to a systematic attempt to stamp it out. One way to identify potential criminals is to ensure that public officials make regular declarations of their assets and that if they lie, they can be brought to justice. At the moment it is not a crime to lie about your assets in Brazil. This means that even if you can see that salaries and lifestyles do not match, the courts still need proof that there was an intention to commit a crime before charges can be brought about. What we learn from this scandal and the others that have gone before it, is that people with power will be tempted to abuse their positions. They need to know that they will be caught and that the rule of law will prevail. The Federal Law 12.846 passed this year to be implemented in January 2014 will be a big help in addressing this type of crime. Companies will face criminal charges if employees get involved in criminal actions, such as bribing to get permits from government officials. Earlier this year when top political figures in the Mensalão case were sentenced to long prison stays many Brazilians believed that their country had finally embraced the rule of law for all. It is only when the consequences of corruption truly hurt that people will realise that corruption doesn’t pay, which is why the decision by the Supreme Court this week is so important and why we support a full investigation into the new revelations in São Paulo.